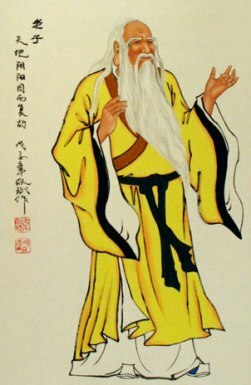 It was written around the 6th century BC by the sage Lao Tzu. The short text consists of 81 brief chapters, or verses. A Post New-Age Approach to Lao Tzu's Tao Te Ching, published by courtesy of the translator and interpreter. © Copyright 2013 Jeremy M. Miller. All rights reserved. Acknowledgments: The hundreds of prior translations, especially that by Arthur Waley. To Pythagoras, who understood Zero and taught It; and to Chuang Tzu, the ideal poetic student. The I Ching is based on the number 2, with its 2 x 2 x 2 x 2 x 2 x 2 (26) = 64 hexagrams. The Tao Te Ching is based on the number 3, with its 3 x 3 x 3 x 3 = 81 chapters. We now offer it in three translations. Perhaps, when reflecting on the three interpretations, the true meaning will emerge. These 81 verses simply rotate; every day the next number, and after 81, number 1 will appear again. This is done deliberately; if you want to read the complete text, you should purchase the resp. translations by Stephen Mitchell, Derek Lin or Jeremy M. Miller below. If you missed yesterday's verse, you can still read it at I Ching Online.NET (version 3), which is always one day behind.